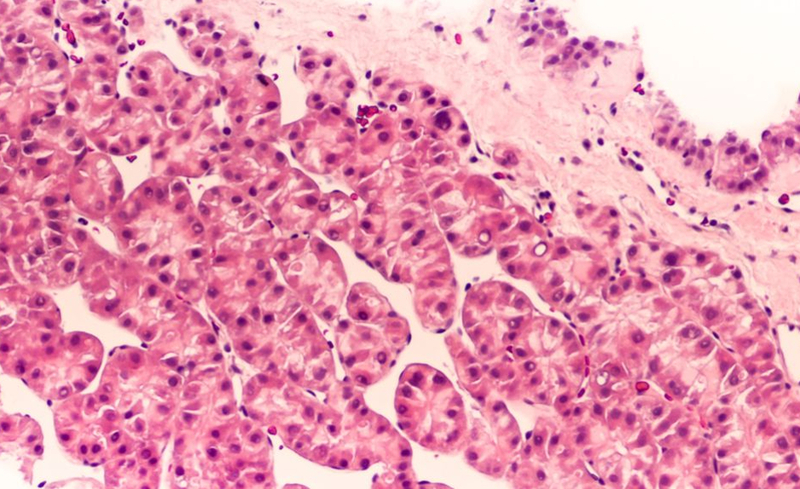 Oxford University researchers have used focused ultrasound and liposomes to improve the delivery of a cancer drug to patients with inoperable tumours in the liver. Published in The Lancet Oncology, the 10-patient phase 1 clinical trial used focused ultrasound from outside the body to selectively heat liver tumours and trigger drug release from heat-sensitive carriers called thermosensitive liposomes. “Reaching therapeutic levels of cancer drugs within a tumour, while avoiding side effects for the rest of the body is a challenge for all cancer drugs, including small molecules, antibodies and viruses,” said Prof Constantin Coussios, director of the Oxford Centre for Drug Delivery Devices (OxCD3) and of the Institute of Biomedical Engineering at Oxford University. According to Oxford University, the study demonstrated the ultrasound technique to be feasible, safe, and capable of increasing drug delivery to the tumour between two-fold and ten-fold in the majority of patients. Ongoing research worldwide is investigating the applicability of this technique to other tumour types, and future research could explore the combination of ultrasound with other drugs. The procedure on the 10 patients was carried out under general anaesthesia and patients received a single intravenous dose of 50mg/m2 of chemotherapy drug doxorubicin encapsulated within low-temperature-sensitive liposomes. The target tumour was selectively heated to over 39.5° C using an approved ultrasound-guided focussed ultrasound device at the Early Phase Clinical Trials Unit at the Churchill Hospital in Oxford. In six out of 10 patients, the temperature at the target tumour was monitored using a temporarily implanted probe, whilst in the remaining four patients ultrasonic heating was carried out non-invasively. Before focussed ultrasound exposure, the amount of drug reaching the tumour passively was low and estimated to be below therapeutic levels. In seven out of 10 patients, chemotherapy concentrations within the liver tumour following focussed ultrasound were between two and ten times higher, with an average increase of 3.7 times across all patients. “Only low levels of chemotherapy entered the tumour passively. The combined thermal and mechanical effects of ultrasound not only significantly enhanced the amount of doxorubicin that enters the tumour, but also greatly improved its distribution, enabling increased intercalation of the drug with the DNA of cancer cells,” said Dr Paul Lyon, lead author of the study.